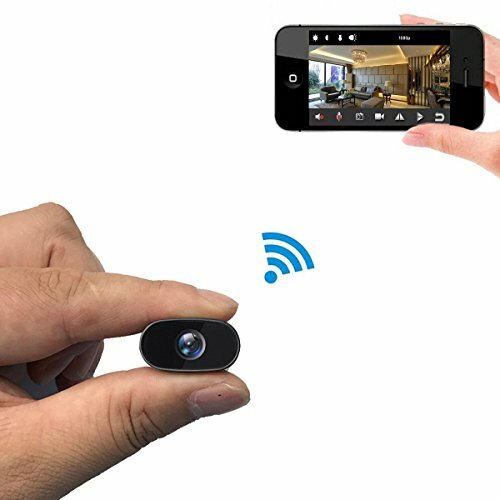 Why you need mini hidden camera? In this day and age, security and safety of our loved ones should be our top priority. A hidden wireless spy camera is a must have in every home and when travel. Our Mini spy Camera is designed to be portable, durable, and reliable in all situations. It can work With 2.4 Ghz WiFi as well as Without WiFi. All videos and photos are recorded in the memory card, which is included. Most other cameras make you buy the memory card as an extra. ✓ Spy Cam Home Uses: Timeqid hidden camera protects your home by preventing squatters. Allows you to know what’s happen in seconds about your children, elderlies and caregivers, domestic animals. Monitor and secure interiors such as bedrooms, apartments, kids’ room, family rooms, nurseries, garages, guest houses, and more. 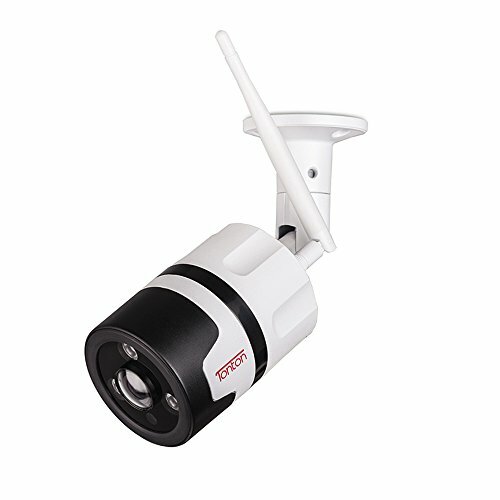 ✓ Spy Cam Business Uses: It is applicable as a spy security camera for your office, business or hotel room. Monitor and secure interiors such as offices, warehouses, showrooms, service desks, stockrooms, lobbies and more. Observe customers and employees. Deter criminal activities such as theft, loitering, and vandalism. ✓ Memory card included: almost all other cameras make you buy an extra memory card, ours came with a 32GB memory card already included for you. 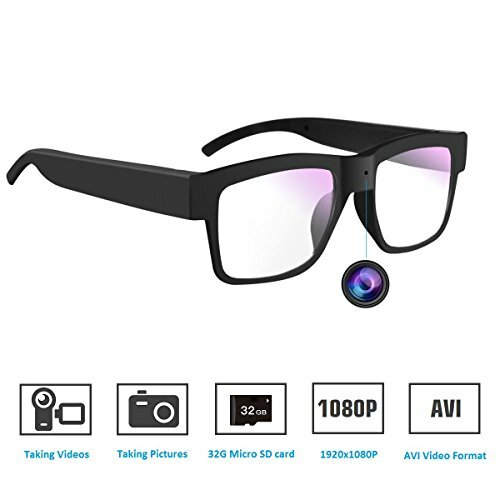 Our mini camera can handle up to 128GB memory card. ✓ Magnetic back: our nanny cam has a magnetic back built-in. You can stick it to any metal with ease.  We love our hidden wireless spy camera and we’re confident you’ll love it too. Get yours today and start protect your family. ✅ – NEW PRODUCT __ On sale for a very limited time __ Get yours now. You will be amazed by what our tiny camera can do. 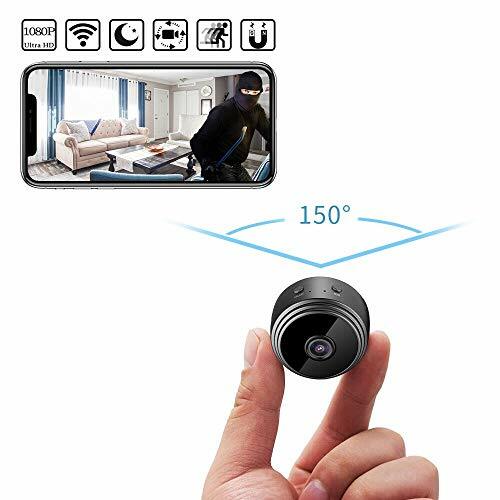 ✅ – HIDDEN SPY CAMERA __ Easy setup for the HD recording mode, taking photos mode, night vision and motion detection mode. Spy mini camera used as a regular video mini camcorder to capture any interesting moment. Real-time video recording. Spy camera has the smallest size in the world. 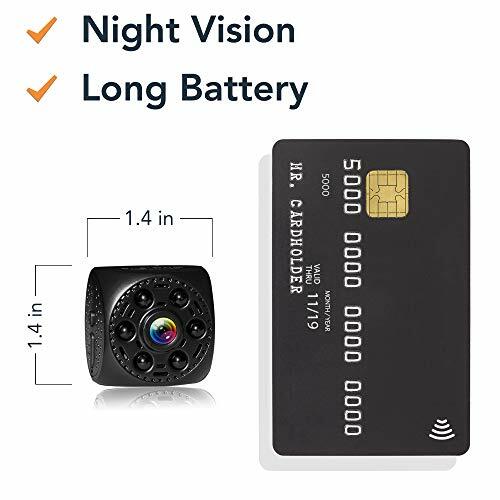 You can use it as a home security camera. 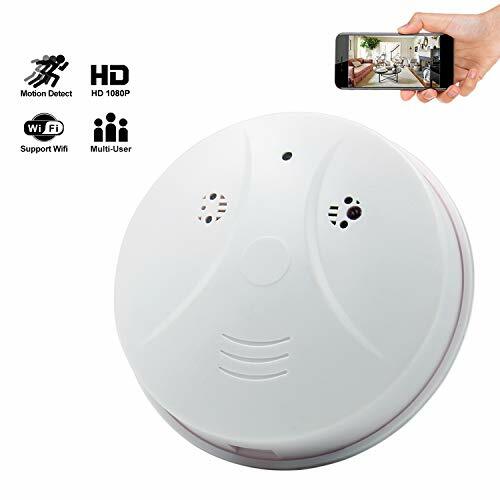 ✅ – MOTION DETECTION __ Mini spy camera only records when it detects movement when setup in motion detection mode! This tiny camera also records while it charges, so you can use it without worrying about dead batteries. Use it with the free bonus 32GB MicroSD card for big storage capacity. Our mini camera can handle up to 128GB memory card. 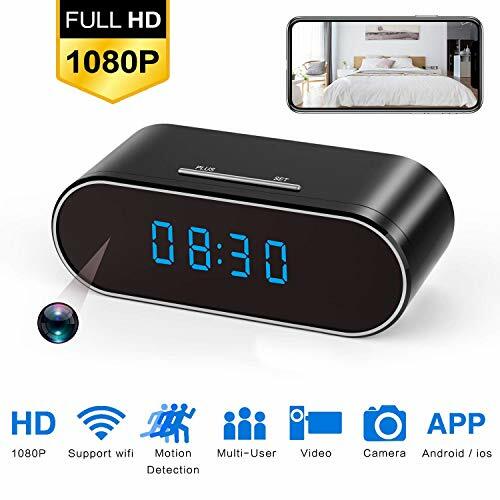 ✅ – 100% Money Back Guaranteed: We’ve created this hidden camera to be the best hidden camera on the market to protect you and your loved ones If there are any problems with your camera, or if you are having trouble understanding the instructions please contact us and we will make sure you are satisfied or your money back.